Next to Christmas, the Fourth of July is my favorite holiday. 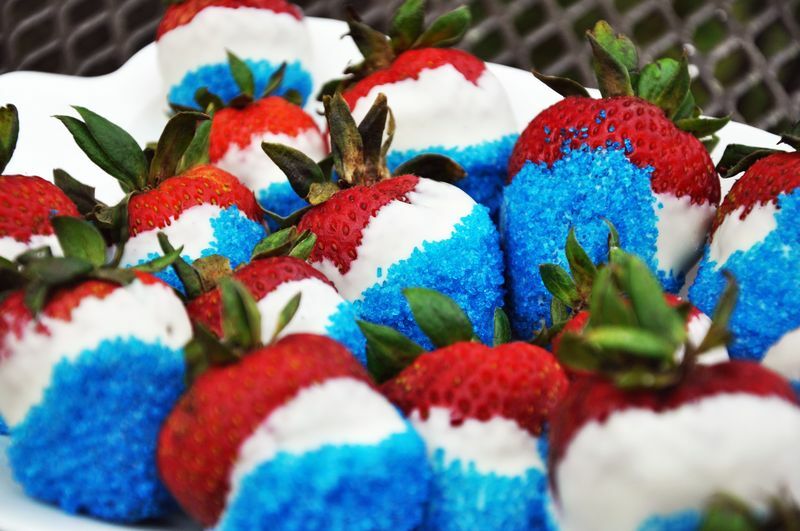 Not only because I love fireworks and parades, but because I love celebrating our country's independence...with food! Up until the Fourth, I'll be sharing some of my favorite patriotic recipes I've found online - maybe you'll used them at your own Fourth of July party! Melt the while chocolate and shortening in a mixing bowl over a pot of simmering water. Stir until smooth. Dip each strawberry in your white chocolate mixture with desired coverage. Pour your blue sugar crystals or sprinkles into small bowls for easy dipping. After you've dipped them in blue, place your completed strawberry on a pan lined with wax to dry. I think these strawberries are absolutely adorable and would be a hit at any USA celebration. You could even add sticks to make them easier for your guests to eat! 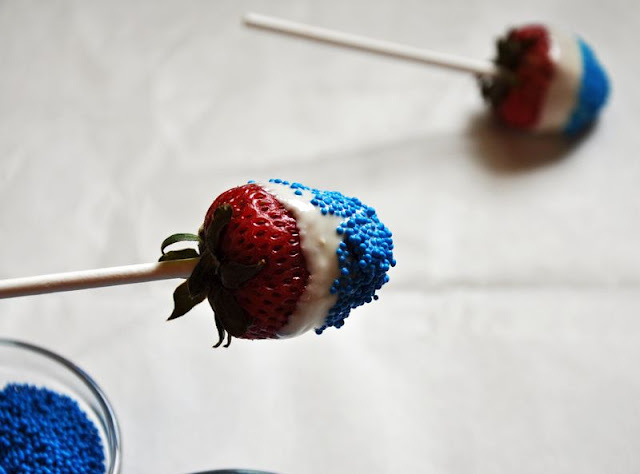 Let me know if you tried these for your Fourth of July party. I'd love to hear how they tasted!